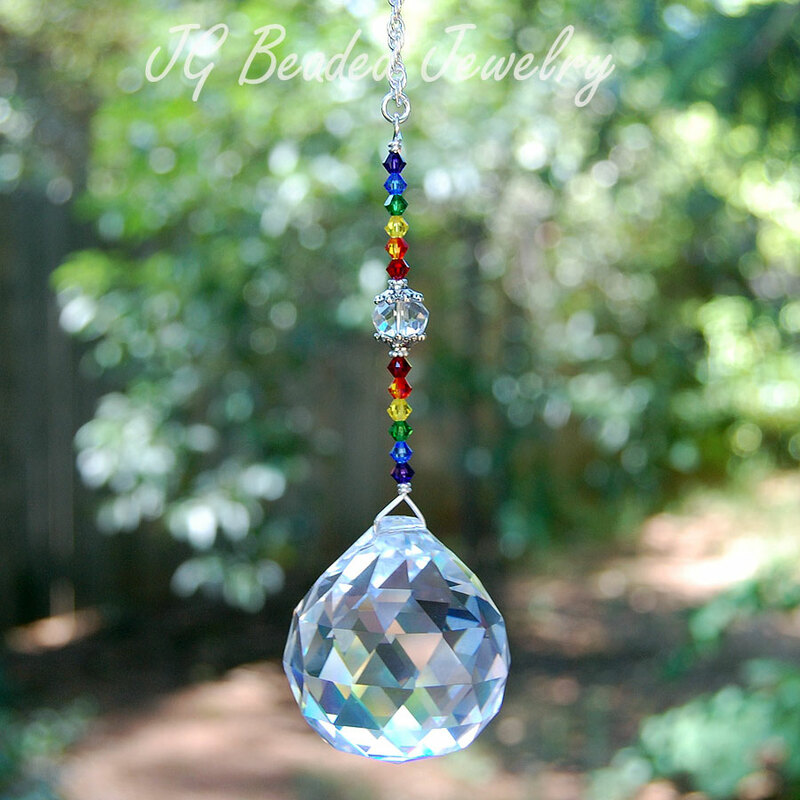 This Swarovski rainbow crystal suncatcher is designed with a beautiful clear 40mm prism crystal ball which is wire wrapped by hand with flawless and beautiful Austrian Swarovski crystals in the color of the rainbow along with fancy silver metal beads and silver chain. Length is approximately 8.5 inches and has a sturdy loop at the top. 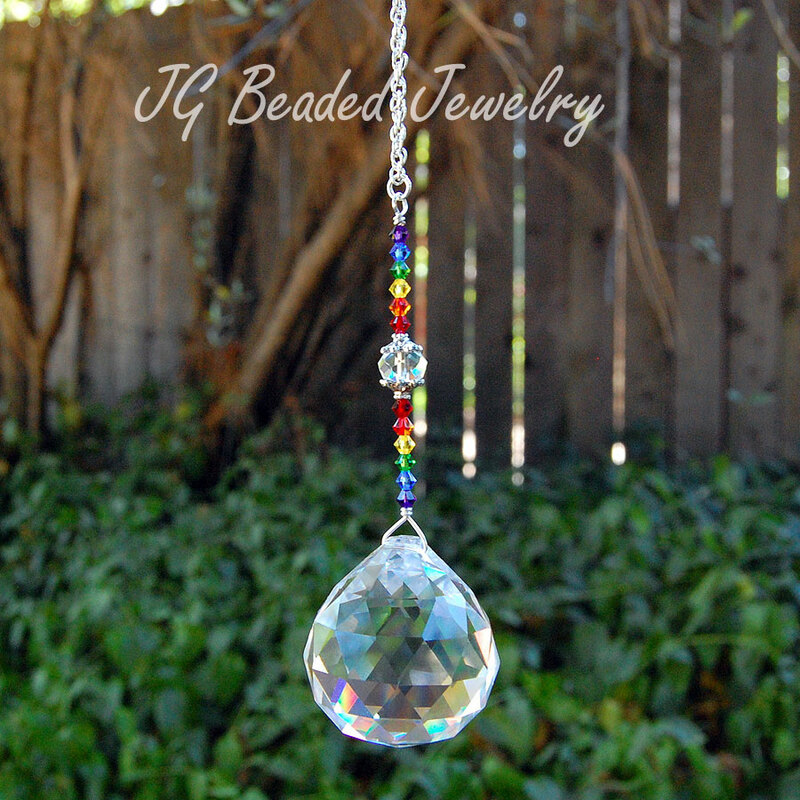 Hang it in a window and you’ll have rainbows splashed around when in direct sunlight. *This design is not recommended for the rearview mirror due to the size and weight of the prism. 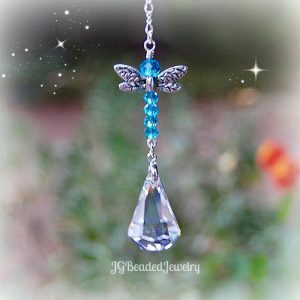 Find many other unique and handcrafted crystal suncatchers and crystal rearview mirror car decorations!